Dr. Lucia Tyler helps students find a college where they are likely to be successful and graduate. She has helped over 100 students with college and graduate school admission. Each year she travels to over 25 universities to evaluate their culture and programs in order to help her students find a good college fit. So far, she has visited over 200 colleges in all parts of the country. Dr. Tyler received her Ph.D. in analytical/food chemistry. She worked in higher education at Cornell University for over 15 years as a researcher, lecturer, lab coordinator, student mentor, grant writer and curriculum developer. Teaching and mentoring students has always been her favorite part of each position. 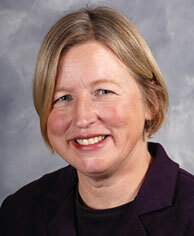 Prior to becoming a consultant she counseled veterinary school applicants at Cornell Veterinary College. Since 2014, Lucia Tyler has been a Certified Educational Planner. To attain this certification a college counselor must be approved to take the half day certification exam which involves extensive education, experience with students and college visits. To maintain the certification Dr. Tyler must keep up to date by attending conferences, writing articles, and continuing to make college visits. 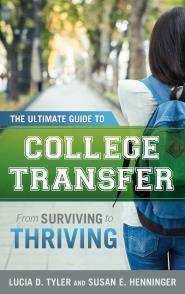 In 2017 years of interviewing paretns, transfers, counselors, and college staff has come to fruition with the publication of "The Ultimate Guide to College Transfer-From Surviving to Thriving" co-written with Susan Henninger. This book came about because there were no references to help Dr. Tyler as she worked with transfer students in her practice. She enjoys, kayaking, skiing, flying, swimming, reading, movies, and dancing.